We are holding the second (of what we hope will be an annual event) Irish Province Archives Open Day on Saturday 23rd February 2013; we are now in the final stage of preparations and it’s safe to say this has taken up all of our time in the last few weeks. A change of date brought the day forward by one month, so it’s been a frantic few weeks. Invitations have been sent out to Loreto communities, schools, past pupils, researchers and other ‘friends’ of Loreto. We are restricted in terms of space as we are using the School Assembly Hall here, which accommodates just over 100. Invitees have been requested to RSVP so that we can monitor numbers, and while we’re hoping for a bumper crowd, we’re hoping it won’t be an overcrowded hall! The theme of our Open Day this year is ‘Exploring the Unexpected’; with presentations focusing on audio visual material and how Loreto community records can often reflect the concerns and events of a wider, secular society. A selection of digitised glass plate negatives will be displayed and others will be presented using the infamous magic lantern. 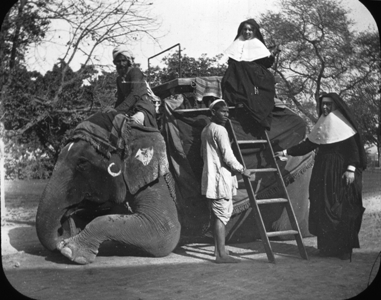 These will include images captured by M. Michael Corcoran whilst on visitation in India and Australia in 1903 (including the image below), and later images of South/East African missions. A beautiful silent colour film titled ‘An Abbey Album’ compiled in c.1962 capturing Loreto involvement in every level of Irish education from Kindergarten, National, Secondary and Boarding Schools to third Training Colleges; the novitiate, profession and holidays in Dalkey will then be shown. The film captures a bygone age of Loreto, and includes unexpected scenes of Sisters in full habit, playing tennis and ‘rounders’ as well as enjoying a break on the rocks at the seafront in Dalkey. It was originally made M. Joannes Murphy at the request of the General Superior M. Pauline Dunne who hoped, embracing modern technology would increase vocations. It is a wonderfully nostalgic film but conveys a real sense of fun, warmth, community, and comradeship, and an almost tangible joy in fulfilling an apostolic mission. A break for tea/coffee and snacks will conclude the first part of our day, and lead to the highlight of the day – a dramatic presentation of the experiences of the communities in 53 St Stephen’s Green and Loreto Abbey Rathfarnham during the week of the Easter Rising 1916. This was a pivotal moment in Irish history, when groups of military activists opposed to British rule and occupation in Ireland, occupied several Dublin city centre locations and fought British government troops (many of whom were Irish) over 6 days in April 1916. The city was devastated, and there were large losses of life. The park in St Stephen’s Green was amongst the strategic locations occupied, so the annals from 53 St Stephen’s Green provides riveting daily accounts of the Rising. The Sisters in Loreto Abbey Rathfarnham, cut off from all communication from the 3 Dublin communities, could seeing the fires and hearing the roaring of cannons and gunfire from the city, were distraught. The community annals from both communities are narrated and bring the events of that extraordinary week alive. Our Open Day is a part of our ongoing engagement with Loreto communities, past pupils, researchers, and interested members of the wider public. We are even hoping to record the event on video (a niece of a past pupil works in commercial recordings etc), so that it will be available to schools to use in supplementing their history lessons or to facilitate those who were unable to attend. 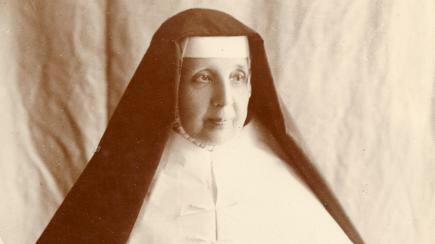 It’s also part of our efforts to initiate the Oral Archive Project, highlighting to the Sisters present that our aim is to capture their memories of Loreto to complement the Institutional history, not an intense personal interview; something which many are wary of. We may not have the state of the art facilities or the resources of other larger archival institutions, but an Open Day can be as simple or as complicated as we make it. Our aim is to awaken, re-ignite and encourage awareness of the rich Loreto heritage and history contained in the archival collections of the Irish Province Archives, and to judge by the enthusiastic response to our invitations to date; I hope that we are succeeding in our aims. We had our first ‘dress rehearsal’ this morning, some teething problems but another week to correct those and to purchase the all important biscuits & snacks for the tea break!!! While Sr. Jane Kelly’s research on the letters of M. Gonzaga Barry continues – I am so excited to see this trailer for the documentary being produced. She mentions that the plan is that the documentary will be launched in 2015 to coincide with the 150th anniversary of Loreto in Australia and the 100th death anniversary of Gonzaga Barry herself. 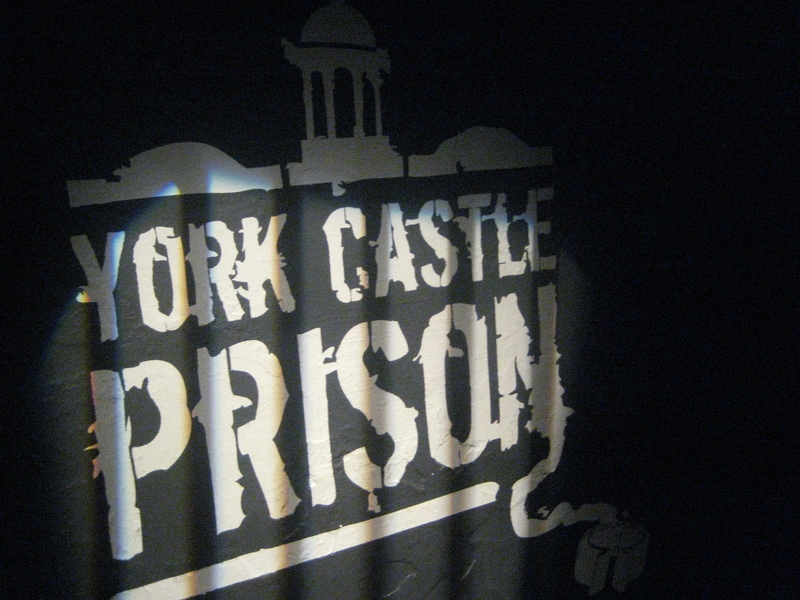 Ever since we went to that museum in York, I’ve been re-thinking about how modern technology can be applied to museum exhibits. 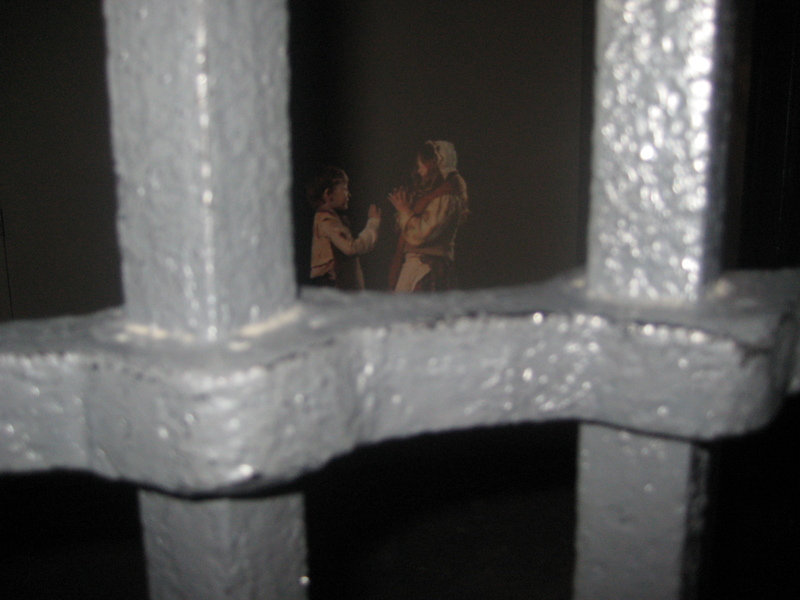 I was bowled over with the cellar prison exhibit and how interactive and fun it was! Here is a related article about Holocaust-related project – amazing. Look at this use of modern and archival photos – brilliant!